Whether you are a sole trader, a large corporate or you run a mobile service, you are likely to require storage space. Having an occasional clear-out may not be a sensible answer, especially in view of future need and environmental waste. Few companies have large enough onsite areas to store items properly. From important records, documents and equipment to furniture or files, security and accessibility are only two of the key considerations. One of the most economical and effective solutions is offsite storage. With round-the-clock monitoring, easy access, short and long term storage options, climate control and free collections, no business owner should worry about the exorbitant cost of space in London. Dedicated to secure business storage, TipTop Media offer a flexible solution that answers your every need. By law, your business is required to maintain and preserve financial and other records over a set number of years. It is equally important the documents are secure, yet easy to access when you need them. TipTop Media can arrange convenient collection of your items for low cost storage in an environment which is accessible and secure. For safer protection, archive boxes, bubble wrap and tape can all be supplied prior to collection or receipt. * The initial collection is usually chargeable unless otherwise agreed. On-going collections are usually free unless they require 2 persons to be available or the items cannot fit in our van. To ensure the health and safety of our customers and drivers are protected at all times additional charges may also be incurred where extra work or time is incurred in the course of the collection. Are the boxes in your office taking over? We can help! As your business develops, space can be an unexpected challenge. New projects or internal re-organisation may mean temporary space is needed; storage of furniture, electrical and IT equipment and other bulky items may require a longer term storage solution. Items can be returned promptly at timed intervals and with full security, ensuring peace of mind. Do you need to free up some space? How will our documents, folders and box files be stored? 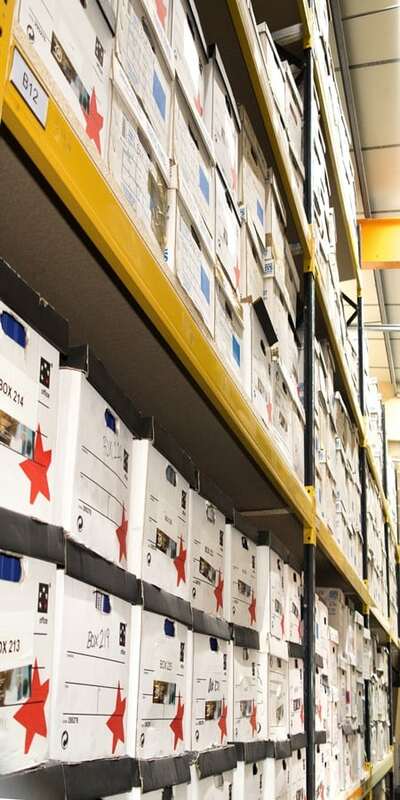 Clients documents, folders and box files will be stored in archive boxes on racking within our climate controlled warehouse. Archive boxes can be supplied by us, preferably, or by other means. What is the size of your archive box? We sell a standard sized archive box with these dimensions: L430 X W335 X D290 MM. How do we recall documents back? Clients can either call or email providing us with the details to locate the required item/s which can then be collected or even better, delivered by us. What details would we need to provide? When requesting documents, clients need to provide us with the document numbers of the particulars in question as well as the relevant box numbers for them. SHOULDN'T YOU KNOW WHERE OUR STUFF IS? Each of our clients have their own dedicated space in which their boxes are placed by us. We know where your boxes are but what we may not know is the content within each box unless priorly arranged. What do you define as a document number? A document number is a number or set of numbers used on each document as a way of identification. Document numbers are generally created in-house by clients themselves so that items can be tracked using some form of database library system. Each document number is unique to that document and should not be repeated. A database is a program in which data is stored. The data within the database could be anything the user wanted to have a record of. When used in this context, we would be referring to digital records of documents. The database acts as a central hub for the documets generally storing specific data fields such as title, document number and whether it is on-site or off-site. Those are the fundamental pieces to a database library system. What if we don't have document numbers? We need a document back but its mixed with other confidential documents? Unless authorised by you we will not search through boxes. We value our customers and understand that trust is an important element in building business relations which is why all of our staff are CRB checked. If sensitivity is an issue you do have the option of having the whole box returned. What size spaces do you have for general storage? We have the following sizes available:- 25sqft, 50sqft, 100sqft and 200sqft and multiples of the above. This shouldn’t be a problem. Just let us know when. How long can we store for? The minimum storage period is 1 month. 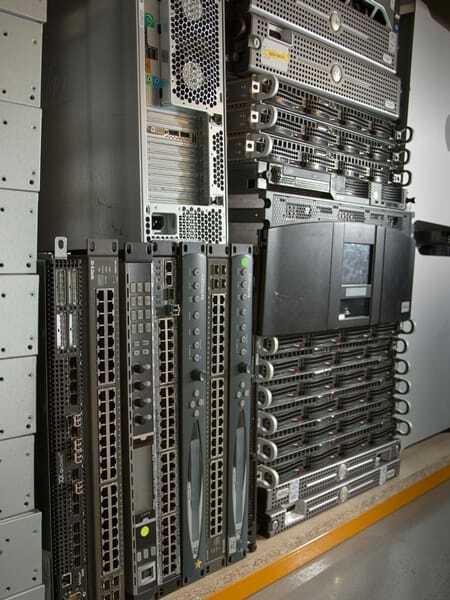 Most office and IT related equipment can be stored. Items that are illegal, inflammable or perishable. Yes we sell archive boxes in packs of 10 or singly, packing tape and bubble wrap. Can you help with the initial and on-going collections? Yes! The initial collection is usually chargeable unless otherwise agreed. On-going collections are usually free unless they require 2 persons to be available or the items cannot fit in our van.